Join Operations Manager, Wes Stafford, for a tour of Consolidated Metal Service's warehouse, equipment, and loyal crew. 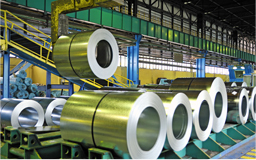 CMS Metal Slitting Rolls Out Precision Specs for the Ultimate Customer Satisfaction. Whether your order is large or small, run of the mill or a hard to find item, we are dedicated to providing you the highest of quality in a timely fashion. condition and toll processing. We service your entire order from warehousing to shipping for your just-in-time delivery. We are your one-stop-shop. 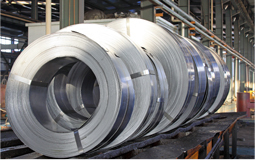 Whatever you need processed, from brass, copper, HRPO, tin plate, CR steel, aluminium, galvanized, stainless steel, painted materials, electro-galvanized, high carbon spring steel or other metals, trust our experience to exceed your expectations. Every day we add new industries we are working with to our portfolio. Whatever your needs, call us for a quote. We specialize in: medical, fourslide/ multislide, spring manufacturing, automotive, brush manufacturing, plumbing, roll forming and stamping. Call us today. 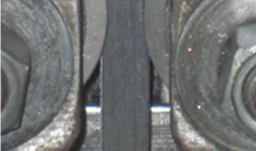 • Coil Steel Slitting – As narrow as .250’’ and as wide as 48’’. • Edge Conditioning – To remove the slitting burrs or create a rounded edge with precise edging. • Warehousing – Safegaurd your metal inventory with storage in our 28,000 sq. ft. climate controlled warehouse and loading / unloading in our indoor dock. Its never too hot or cold. 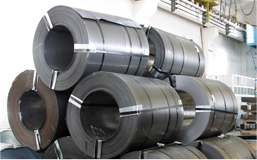 We specialize in the distribution of ferrous and non-ferrous metals with a special focus on precision narrow slit coil. Consolidated Metal Service is now on Facebook! Changes are Afoot at Consolidated Metal!! Happy to accommodate orders of any size! Consolidated Metal Service, Inc. was founded in 1982 and today is a recognized leader in the custom steel slitting, edge conditioning, toll processing, and distribution of all varieties of ferrous and non-ferrous metals, with a special focus on precision narrow slit coil. Our experienced staff is dedicated to providing defect-free products that are delivered on-time.